I'm looking for a truck last seen on the south shore of Massachusetts a year or two ago, any information would be greatly appreciated. I copied this posting from the posting I put on Craigslist. WANTED- Looking for any information available about a mid to late 60s international R series. The exact year and model are not certain to me. 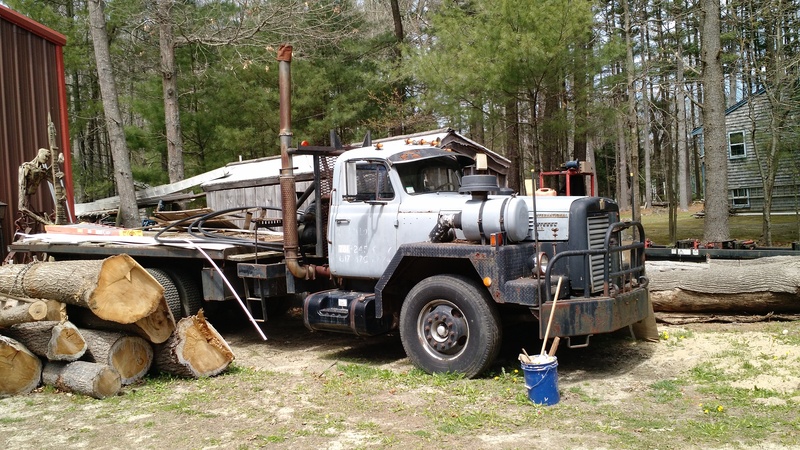 The last information I have is that roughly 1 or 2 years ago it was sold by South shore pile driving in Marshfield, MA as a cab and chassis. Previous to that it was owned by R.E.Taylor pile driving and is likely still painted grey with a black chassis and fenders. 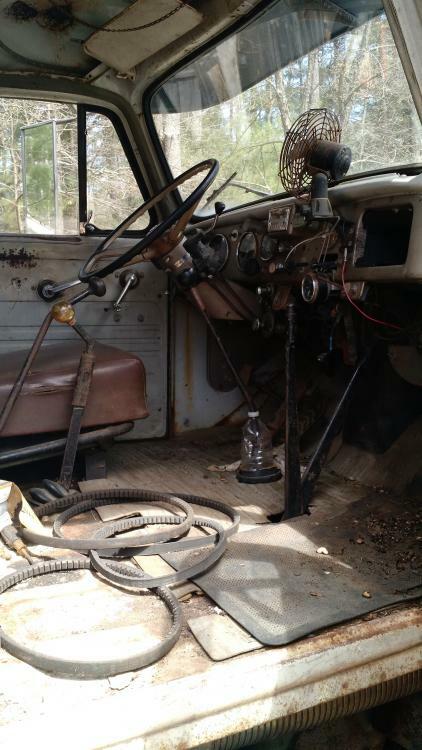 It was purchased by Taylor around the mid eighties from Wyoming as an oil field Derrick crane or Gin pole truck. He converted it to a pile driving rig and used it up until 5 or 6 years ago. He then sold it to South Shore Pile Driving who removed the Derrick and currently still use the actual pile driving rig. I haven't seen the truck in years, but as far as I know it was an operating vehicle after the boom was removed. 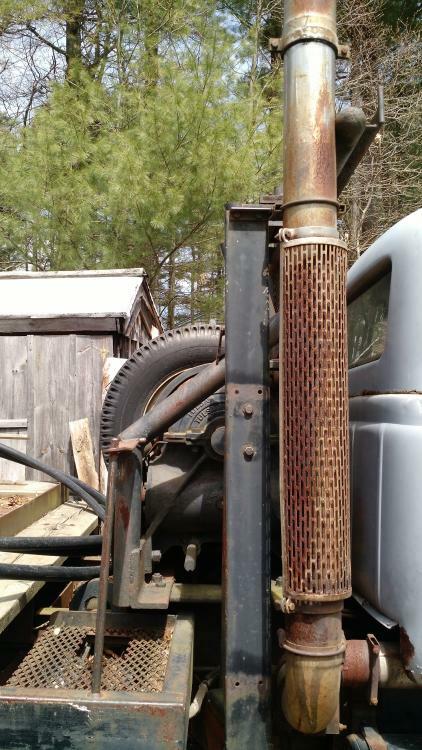 It is a tandem axle long wheelbase truck with some sort of Cummins diesel and a 5+4 transmission. I included a picture of a truck that is very similar to the one I am looking for. If you have any information it would be greatly appreciated. Thanks, Andy. My phone # is (978) 808-9496, call text or email me at aarsenaultjr@hotmail. Thanks again. Looks alot like Tackaberrys truck from Athens Ontario. Maybe someone else can confirm. Sorry didn't read that it's a pic of similar truck. Maybe check with Daryl up in ME. He seems to know where the larger IH trucks are in New England. What a Bruiser! Is it still in NE? Figure I should put a few more pics up. I have no clue what to do with this truck yet, initial plan is to just do an extensive service. Get it roadworthy and inspected, then go from there. I'm considering removing the flatbed and putting on a fifth wheel. 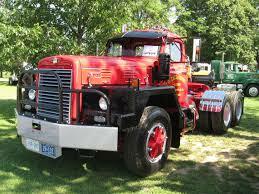 Neat truck; i always liked that series of IH's. There was a time when they were everywhere in New England and were probably as popular as the B81's were. Why not just register it with antique tags and drive it home? Sales tax, insurance, etc. will be about the same as the tow bill and you will have to register it eventually anyways. That's true, but I would have to wait 4-6 weeks for a duplicate title to show up. I think I m gonna borrow a friend's repair plate and hope for the best. We will see, need to go look it over good on Saturday morning, hopefully I can drive it home as well. I already let this thing slip through my fingers once, I don't want to do that again. 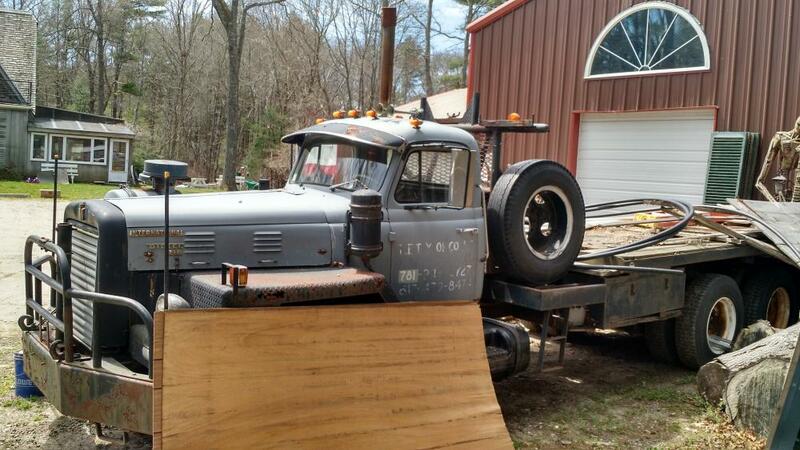 That is one cool truck with a great story. Your plan to get it home sounds like the way to go, of course that is easy for me to say. Good Luck. what is the trans combo, i see three sticks in it. i learned to drive on sorta the same truck, a 49 L190 single axle tractor with the big gas six cylinder and a quad box. Congratulations on your new truck . I love this story because you were actually able to buy the truck . Stories like this usually end with the " the owner won't sell it , because they want to save it "or they think its worth $ 30,000……. usually 5 years later it is sitting in the same spot , just a lot rustier . Real nice Binder. What town did it end up in? When it is safely in your yard, you will need let us know where you found it and details of the chase. Like the beer keg air cleaner! It is in Kingston, MA., the man who ended up with it was a customer of the previous owner (Rudy Taylor) who passed away a month or so back. I shared a few stories i remembered about Rudy and we had a laugh. He was a unique guy for sure, very mechanically inclined. The current owner said that it wasn't for sale, but he thought I should have it. I'm giving him what he paid for it, and he seemed happy that I want to get it back on the road. At the moment I plan on doing an extensive service, fix some of the cab and fender rot. It's in tough shape, I need to make sure the frame is sound as well. Long term, from a practicality standpoint I should put a fifth wheel on it and keep it as a long wheelbase tractor with the winch, but it will probably stay as is for this year at least. 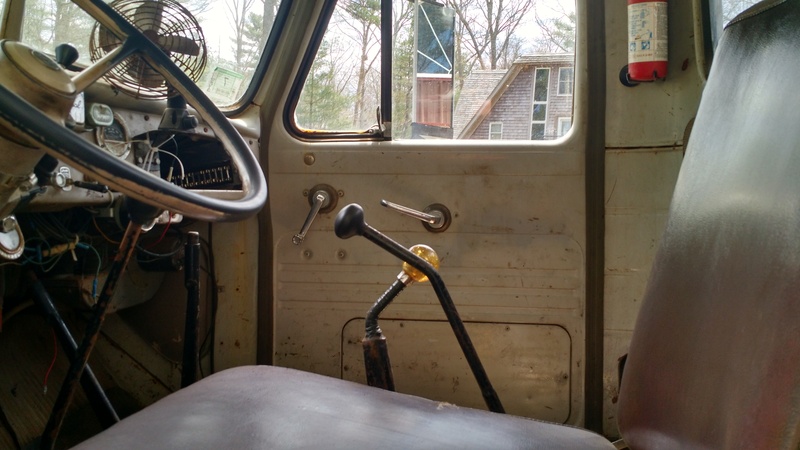 I believe the stick with the glitter shift knob is for the winch, so I believe it is a 5 + 4 trans combo. I'm gonna have to learn quick to get it home! Any tips for a first time twin stick driver?